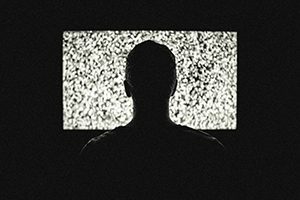 The unplugging of traditional TV advertising? Who can recall the last TV advertisement they saw? If you can’t, then it’s probably not because they failed to catch your attention but because you’re part of the movement glued to Netflix or Lightbox. World-wide, and here in New Zealand, millions of people are switching their viewing habits from traditional TV to commercial-free online viewing. Game of Thrones, Suits or Stranger Things – the list of great TV shows is endless and growing. Entertainment is fast becoming an uninterrupted all-you-can-eat buffet. Who has time to sit through ads when you can gorge yourself on two or three episodes of a series in the same amount of time, or settle in for an all-weekend binge with your favourite series or movies. A report by Sidneyeve Matrix, ‘The Netflix Effect: Teens, Binge Watching and On-Demand Digital Media Trends’, suggests that this growing consumer preference for streaming services rather than for traditional TV must be worrying for the industry with disrupted scheduling, ratings, advertising, and pay-per-view subscriptions. TV viewing practices and new expectations about the availability of commercial-free, high-quality, and original television content are more important than ever. Just look at the mess Sky TV is attempting to clean up to retain its credibility and customers as its share price plummets on the back of expensive subscription packages and its relinguished grip on the Rugby World Cup coverage for 2019. The writing was on the wall last August when it announced that it had lost 33,800 of its 739,452 satellite customers in the year the end June 2017. In April, Sky revealed it will offer customers unbundled content, online-only access and an Apple TV-style box while it is also slashing the price of subscriptions. Unfortunately for Sky TV, I think this ship has well and truly sailed – its position as a pay-TV monopoly is gone. Today, people want instant gratification and to be able to choose what they watch with no ads, all at a reasonable price. The latest data from researcher Nielsen (in January) shows that 1.2 million New Zealanders now have access to a Netflix subscription. Nielsen’s Connected Consumer Report for 2018 said that this equated to approximately 434,000 households across the country – almost doubling its reach since December 2015. Lightbox, its biggest subscription video on demand (SVOD) competitor, according to its annual report currently reaches 810,000 New Zealanders via 300,000 nationwide subscriptions. Those are serious numbers, and ones which TVNZ and MediaWorks have had to grapple with fast to curb the apparent loss of viewership. Both make almost all of their money via advertising, especially primetime, which remains a lucrative market. But how long will this remain the case if people can either pre-record a show to skip through the ads, or switch off entirely from the state broadcasters? Yes they have remodelled, growing an online presence and now offering on-demand streaming of both televised shows and those exclusively for online platforms. But even then I’m sure most people find the ‘pre-roll bumpers’ of the latest KFC burger or Anchor milk ad irritating. In an added twist, Netflix – the company that forever changed traditional television – could now become just that after this week rolling out a test run of unskippable advertisements that appear between episodes of various shows for some users. Given that one of the service’s primary appeals, and the crux of this blog, is that users can watch TV shows uninterrupted by commercials time will tell whether this turns people off. Interestingly, TVNZ reported increasing its profit for the six months to December 2017 by a third, to $17 million. This was highlighted by a small rise in its income from traditional TV advertising. Advertising revenues from both its broadcast and online on-demand service rose, to a total of $162 million, assisted by a 16 per cent rise in the number of programmes watched online and an increase in TVNZ’s share of broadcast TV audience. “Original content is TVNZ’s strategic focus and competitive advantage. It’s our sustainable point of difference in a market increasingly contested by global scale international players,” said TVNZ CEO Kevin Kenrick, referring to a plan to spend more on local content. Social media, print, radio and digital advertising must also play an even greater role to help boost these revenue streams. However the fight is fierce, with Spark giving customers free Netflix with their mobile plans (despite having its own on-demand viewing service Lightbox), or Trustpower giving away free 4k TVs to new customers. It will be interesting to see whether this on-demand revolution continues and if it does in fact kill the TV star. Luke focuses on helping clients with a communications style based on solid back-to-basics methods. “Sometimes paring things right back and starting with a communications audit is the best way to go. That way you’re able to survey the landscape before embarking on your communications journey.